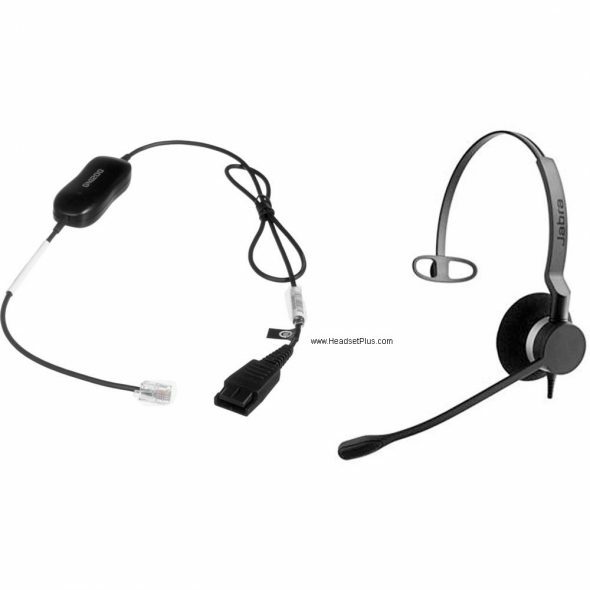 Jabra Biz 1500 Mono Yealink Certified Headset .. $84. 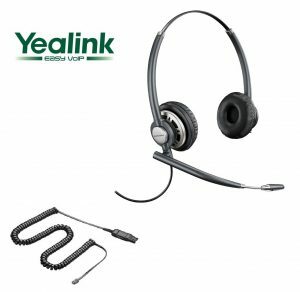 At only $84.95, this is the most basic and most affordable of all the Yealink compatible headsets we carry. Not to say this is a bad headset, it still has most of the features of the more expensive models like noise canceling microphone, wide band audio, 2 year warranty, etc. It includes the Yealink certified compatible adapter cable. Simply plug into the Yealink’s headset jack. It’s by far our best selling model due to the low price point. 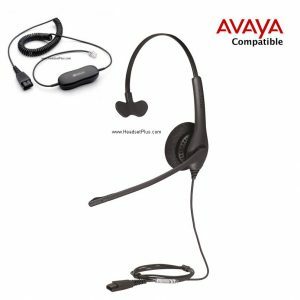 It’s very popular for large customer service contact centers where it needs to deploy large quality of headsets for all of its agents. The 2 year warranty coverage will ensure your headset investment doesn’t go to waste. Jabra will simply send you another headset if it fails within 2 years. 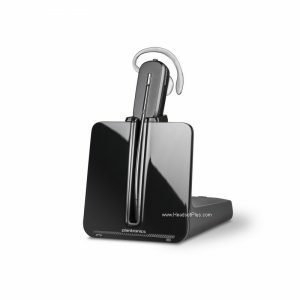 Plantronics HW510-YEA Yealink Certified Headset .. $129. This is the Plantronics basic model. As you see, the price is not nearly as attractive as the Jabra Biz 1500. It offers the same 2 year warranty, similar features such as wide band audio for the Yealink SIP phone and noise canceling microphone. Tested and certified by Yealink as 100% compatible. The Plantronics HW510-YEA has an “ultra-noise canceling” microphone to reduce background noise to a higher level. Construction is a better than the Jabra Biz 1500 series. The boom is also fully adjust and bendable so you and adjust it to any position you like. Wide band audio enhances audio so it’s more natural human sounding. Anybody with hearing aids, it’s also telecoil hearing aid compatible. PlaPlantronics HW520-YEA Yealink Certified Headset $139. The Plantronics HW520-YEA is the double ear version of the popular Plantronics HW520-YEA. Designed for a noisy office when lots of people talking on the phone at the same time. Having both ears covered will help the user focus more on the phone call rather than be distracted by all the background noise and all the people talking around him. It’s also been pre-packaged with a certified Yealink adapter cable. Simply plug into the Yealink’s headset jack. Using the “headset” button, you are ready to talk on the phone. All the same features as the HW520-YEA – Ultra noise canceling microphone, fully adjustable and bendable boom, wideband audio, and a full 2 year warranty. In addition, it’s also telecoil hearing aid compatible. 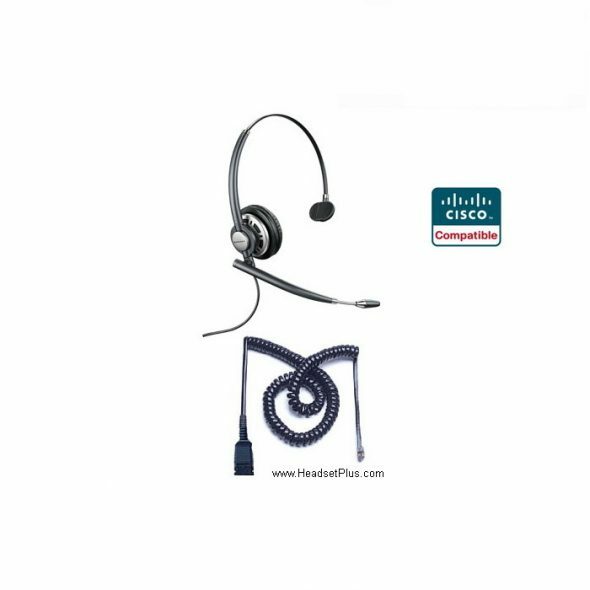 Plantronics HW710-YEA Yealink Certified Headset $149.95. 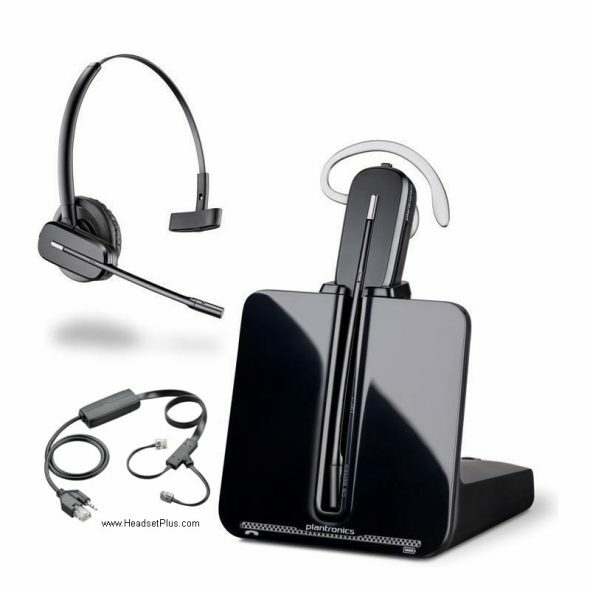 The Plantronics EncorePro series HW710-YEA is the top of the line corded headset for the Yealink VoIP phones. It’s more sturdy than the Plantronics HW510/HW520 with reinforced, lightweight headband. Equipped with larger padded speakers, leatherette ear cushions and a microphone that you can “telescope” or retract to fit to any position in front of your mouth for the best sound transmission. High frequency wide band audio technology delivers the best possible human voice of any headset on the market. Guaranteed with the same 2 year Plantronics warranty. Making this one of the best Yealink compatible wired headset on the market today. 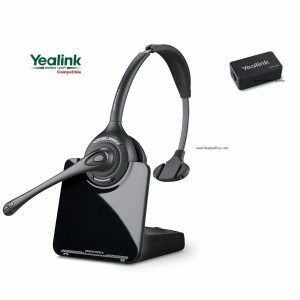 Plantronics HW720-YEA Yealink Certified Headset $159.95. This Plantronics HW720-YEA is the bin-aural (double ear) version of the HW710-YEA. Design for a noisy office with sound coming out of both speakers for both ears. The dual speakers helps out blocking office noise so the user can concentrate on the phone call without all the office distractions. Large leather ear cushions for all day comfort. Retractable noise canceling microphone can filter out background noise so the caller on the other end don’t hear all the office chatter or the keyboard. The HW720-YEA is highly recommended for anybody working in a large call center or office with many people in the same room. 2 year warranty from Plantronics guarantees this headset a good investment. Plantronics CS510+EHS Yealink Certified Wireless w/Remote Answer . 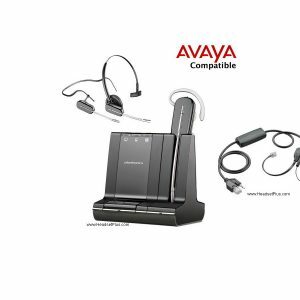 This is the Plantronics CS510 wireless headset bundle bundle together with a Yealink EHS adapter. Plantronics CS510 is one of the most durable wireless headset on the market. You can roam the office and answer and end your Yealink phone calls up to 350ft away. Noise canceling microphone to block most of the unwanted noise in the office. It’s a very high quality office headset. We had very few complaints, very few returns. Excellent sound quality with the digital signal processing (DSP) technology as well as noise canceling microphone to block out office noise. This bundle includes a Yealink EHS adapter. “EHS” stands for Electronic Hookswitch. It provides the user the ability to answer the phone call remotely, up to 300ft away, as well as hang up the call the at the same 300ft distance. So the customer service agent can be in the lunch room and still hear the phone ring (it beeps in the headset speaker) and answer the call. Without the EHS adapter, the agent would have to run back to the telephone to answer. 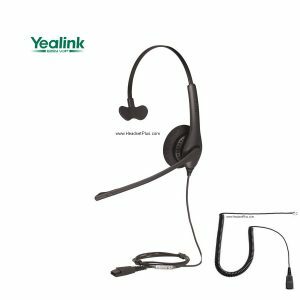 This headset package is compatible with most Yealink SIP phone models. 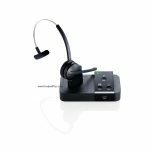 Plantronics CS540+EHS Yealink Certified Wireless Remote Answer (my favorite) – This is Plantronics version of the Yealink compatible wireless headset. This package too comes pre-packaged with the Yealink EHS adapter for remote answering. Plantronics CS540 is probably the most popular wireless headset on the market today. It’s a convertible headset, which means it comes with two wearing styles you can choose from (over-the-head over over-the-ear). You can decide which style you like after the get the headset. It has the same excellent 300ft range like the Jabra. The difference with the CS540 is that the battery is user replaceable after 2-3 years of user. The Jabra Pro 920 is not, you would have to replace the entire earpiece when the battery dies. 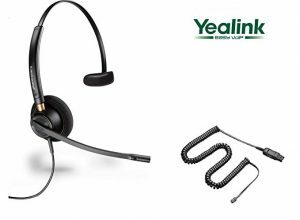 Like the Jabra 920 Yealink bundle, the Plantronics CS540 -Yealink bundle also comes with the Yealink EHS adapter for remote answer/hangup feature. Once the battery is fully charged, the user be talk on the phone for 7 hours without having to re-charge. So it’s almost impossible to run out of battery during the course of a day. Compatible with Yealink models SIP-T48S T48G T46S T46G T42S T42G T41S T41P T40G T40P T38G T29G T28 T27G T27P T26P. Others Yealnk phones may not be EHS compatible. 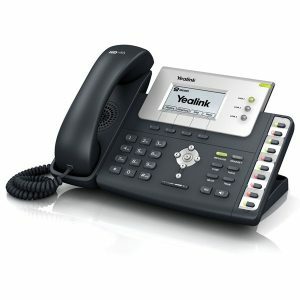 New Yealink models are constantly added, check our website or call 650-306-9668 for the latest model compatibility. 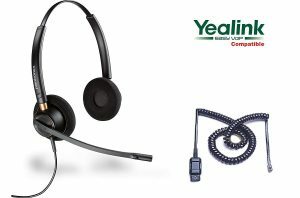 These some of our top rated Yealink compatible headsets. There are of course many more to choose from. You will be very happy with the ones we have recommended. 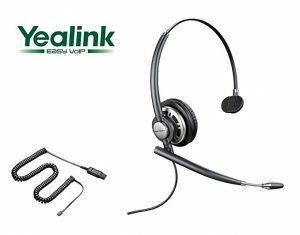 If you have further questions regarding these Yealink headsets or like to explore other Yealink headsets, call HeadsetPlus.com at 877-999-3838, we can help you choose one. 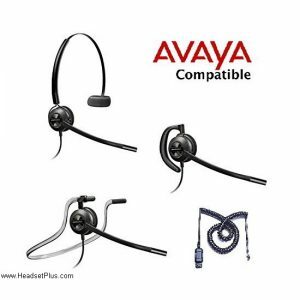 Below are compatible headsets for the following Avaya models. IP 1608, 1616, 9608, 9610, 9611, 9611G, 9620, 9620C, 9620L, 9621, 9630, 9630G, 9640, 9640G, 9641, 9641G, 9650, 9650G, 9650C, 9670. Let’s start with the basics, corded vs. wireless headsets. 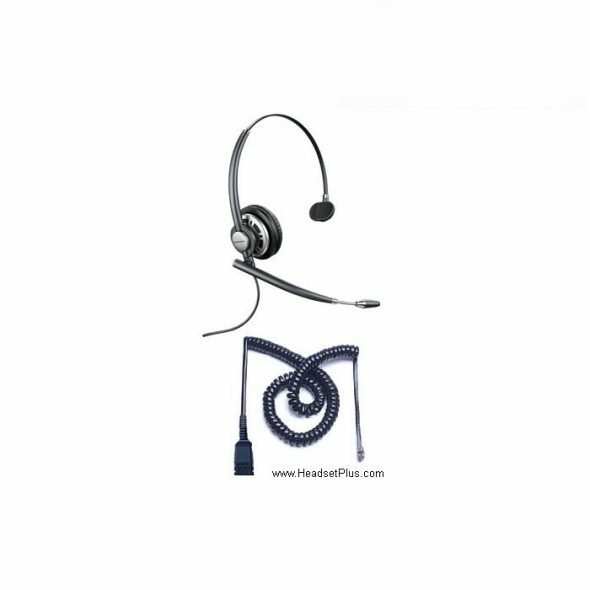 Corded headsets are compatible with just about any desk phone that has a corded handset/headset jack. They plug into either a bottom cable or an amplifier. Buying a headset by itself will not function without a bottom cable or amplifier. 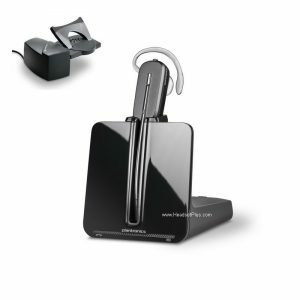 Wireless headset systems plug into the base of your phone and the wireless base unit transmits the signal to the wireless headset up to 300-325ft (depending on your surroundings.) They transmit via DECT 6.0 (1.9Ghz) so there won’t be any interference with Bluetooth or Wi-Fi devices. If your job doesn’t require a lot of movement away from your desk, a corded headset is a great option. If you would like more freedom, and the ability to answer and end calls away from your desk, wireless is the way to go. Both options offer comfort, hands free communication, and noise canceling microphones. Let’s begin with a few recommended corded headsets. 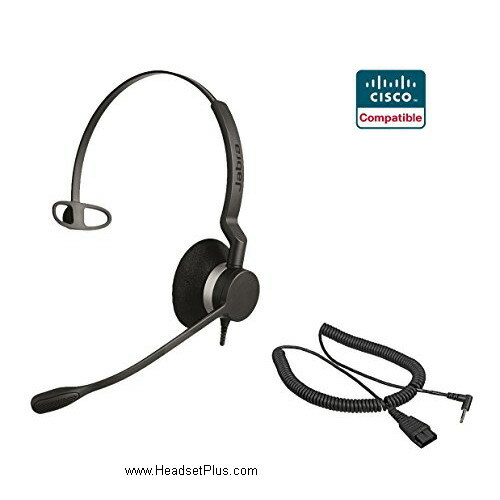 This is one our top rated entry level corded headsets. It offers all day wearing comfort, noise canceling microphone, and wideband audio. The eye catching low price of $84.95 makes this an ideal headset for our customers needing to purchase large quantities. The Biz 1500 comes backed by a 2 year manufacturer’s warranty, and comes bundled with everything needed for your phone. 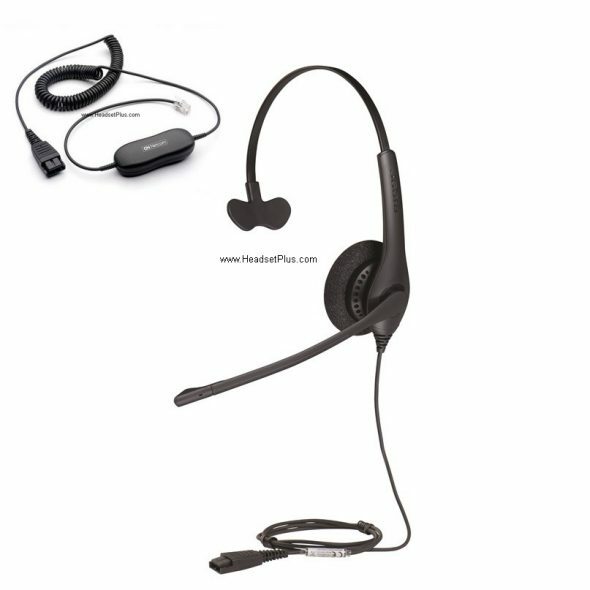 The HW540 corded headset is a fantastic purchase for customers that want multiple wearing styles. This headset comes with 3 different wearing styles, traditional over the head, on the ear (ear hook), and behind the neck. This headset is the lightest in its class and also has noise canceling microphone, wideband audio. Many office buildings prefer this headset because it gives the employees the freedom to choose which style is most comfortable for them. Comes with a 2 year manufacturer’s warranty. This wireless headset system is our top seller. It has wireless range up to 350ft (depending on your surroundings), light weight, noise canceling, and wide band audio. The CS540 comes with 2 different wearing styles over the head and on the ear. You can talk for up to 8 hrs straight with the ability to answer, end, and place calls on mute when you’re not at your desk. This headset comes bundled with the cable that you need for remote answering, and comes with a 1 year manufacturer’s warranty. The Plantronics Savi 740 is our most versatile wireless headset. It has the ability to connect to your desk phone, computer (via USB), and your cellphone (via Bluetooth.) 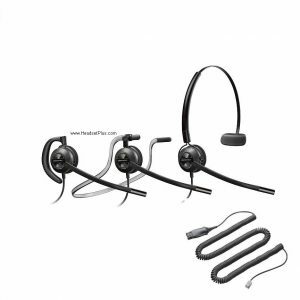 Similar to the Plantronics CS540, this convertible headset comes with 3 different wearing styles, over the head, on the ear, and behind the neck. You can travel away from your desk up to 350ft (depending on your environment) and still be able to answer, end, and place calls on mute. The Savi 740 has a noise canceling microphone and provides wide band audio to ensure that your conversations are clear and concise. This wireless headset comes bundled with the cable needed for remote answering, and a 1 year manufacturer’s warranty. Plantronics Savi 8220 is my top pick. It has it all! It comes with large padded speakers and active noise canceling in the speakers so you can focus on the phone call without the distraction any backgorund noise. The top of the line Plantronics Savi series 8220 allows connect to trhee devices (Avaya phone, computer or laptop, and mobile phone). It allows you to use the same headset for any of the 3 devices. 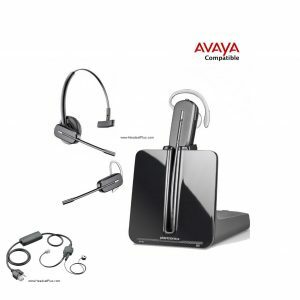 Avaya certified for the phone models 1600 or 9600 series. It allows remote answering up to 500 feet away! When you’re not near your desk phone, it sends a beeping sound altering you the phone is ringing. when charged, the headset has 13 hours talk time (50+ hours of standby). It’s also acts as a music headphone when you’re working in the office. 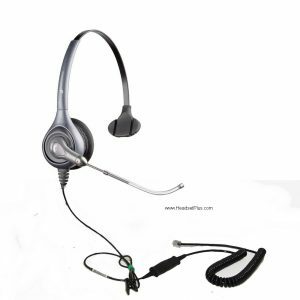 Are you looking for a headset with a a RJ9 or RJ11 modular phone jack for your office desktop phone? Look no further. Go HERE, you will find many RJ-9 headsets for various phones with phone jacks on the direct connect headset page. From various manufacturers like Cisco, Nortel, Avaya, Polycom, NEC, or Mitel. HeadsetPlus.com stock both Plantronics, and Jabra corded headsets and wireless headsets for these phones. Price ranges anywhere from $70- $300, depending on your budget. Desktop phones with RJ-9 headset phone jacks already have an amplifier built into the phone, so no additional headset amplifier is needed. Simply go to the sub-section of your phone manufacturer and pick out a headset. Here are some examples of phones that have dedicated headset jacks. There are many more not listed (simply too many to list). Call for compatibility if your phone is not listed: 650-306-9768. Polycom: Polycom 335, 430, 450, 500, 501, 550, 560, 600, 601, 650, 670, CX300, CX500, CX600, CX700, VVX 101, VVX 201, VVX 300, 301, VVX 310, 311, VVX 400, 401, VVX 410, 411, VVX 500, 501, VVX 600, 601, VVX 1500. Unfortunately it’s not always easy to find the compatible headset for your phone. Some phones are especially difficult like Polycom, SNOM, or Yealink require special “bottom cables” for it to be 100% compatible. After vising the website, if you’re still confused call one of our headset experts at 877-999-3838, they can guide you to the right headset and cable for your phone. Today we are going to go over the best and most affordable corded headsets available for VOIP office phones. With so many options and manufacturers for headsets, selecting the perfect headset can seem like an impossible task. VOIP systems have revolutionized the way business and offices communicate but with that comes added confusion of whether or not the equipment you are purchasing will or will not be compatible with your headset. Most of us want something that will get the job done, is reliable but affordable. Affordable is often synonymous with “cheap” or “low quality” however, it doesn’t have to be this way. Jabra and Plantronics offer wired headsets that are outstanding in terms of quality and comfort but also won’t put too big a dent in your budget. The Plantronics S11 at only $79 is a coded telephone headset system that comes equipped with an amplifier and over-the-head headset. The S11 will work with just about any VOIP office phone. The headset, designed for all-day comfort, comes with its own stand and the noise-cancelling microphone filters out unwanted background noise. The amplifier gives you complete control over the audio, both incoming and outgoing and the Call Clarity technology assists in reducing echo, giving the user the cleanest audio possible. 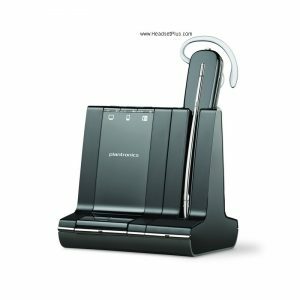 The Plantronics S11s simple, no frills design offers easy installation and is a favorite of call centers around the globe. 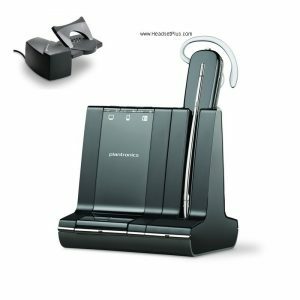 All that and more make the Plantronics S11 the most affordable wired headset for VOIP office phones. BUY NOW! The 1500 mono by Jabra is a single-eared corded headset that is equal parts reliable and affordable. The 1500 mono offers a noise-cancelling microphone that makes it ideal for crowded or noisy working environments. The 1500 mono offers crystal clear sound which is made possible by the digital signal processing that also reduces background noise and echo-cancellation. The 270 degree boom arm makes for easy adjustments without the fear of breaking. The 1500 mono is constructed with the strongest plastic materials and can handle high stress working environments and the foam ear cushions provides all day comfort while keeping your ears cool. The 1500 Monos level of quality and reliability makes this an affordable wired headset that will get the job done. The Jabra Biz 1500 Mono Direct Connect also comes with the GN1200 smart chord which will be compatible with 95% of VOIP office phones. BUY NOW! 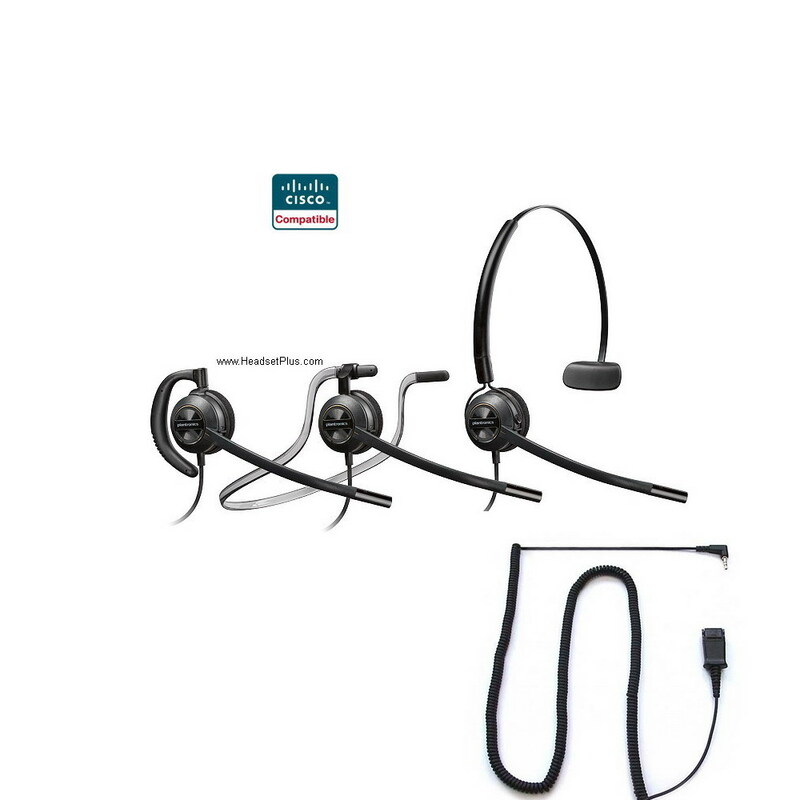 The Jabra Biz 1500 Duo by Jabra is the dual-eared version of the Jabra Biz 1500. The binaural design allows for greater focus and clearer communications between the user and the person on the other end. The air shock microphone protects against harsh spikes in audio and the HD voice allows for the clearest communication possible. The headband is retractable and can be adjusted to suit the users preference. The ergonomically constructed frame provides all day comfort. 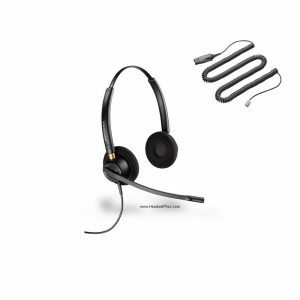 This affordable wired headset for VOIP telephones is guaranteed by Jabra to last and is backed by a 2-year warranty. The Direct Connect comes with the GN1200 smart chord, which is compatible with 95% of VOIP office phones. BUY NOW! 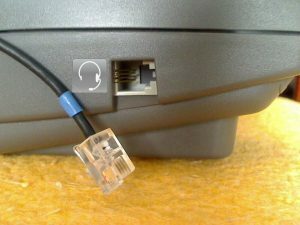 Cisco phones have a unique bottom cable that is only compatible with Cisco phones. 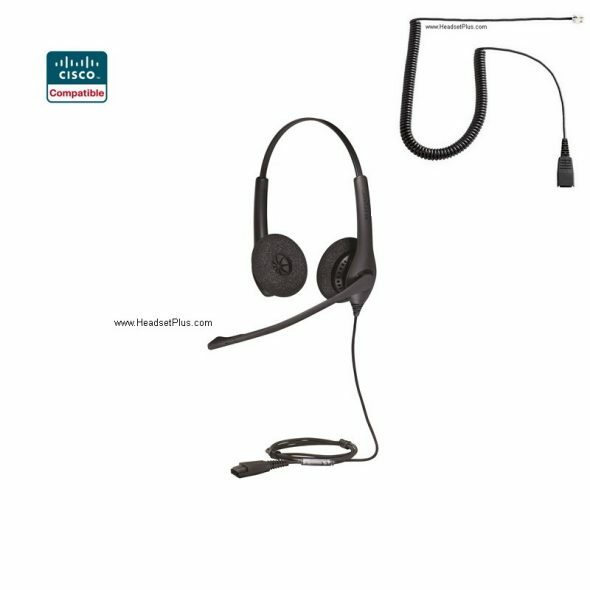 The Jabra Biz 1500 mono comes with the bottom cable that you will need to use for your Cisco phones. The 1500 mono corded headset is a professional grade headset that will boost worker productivity and potential. The only drawback is that it is not the GN 1200 smart cord, which is a universal bottom cable designed to work with 95% of corded desktop phones. 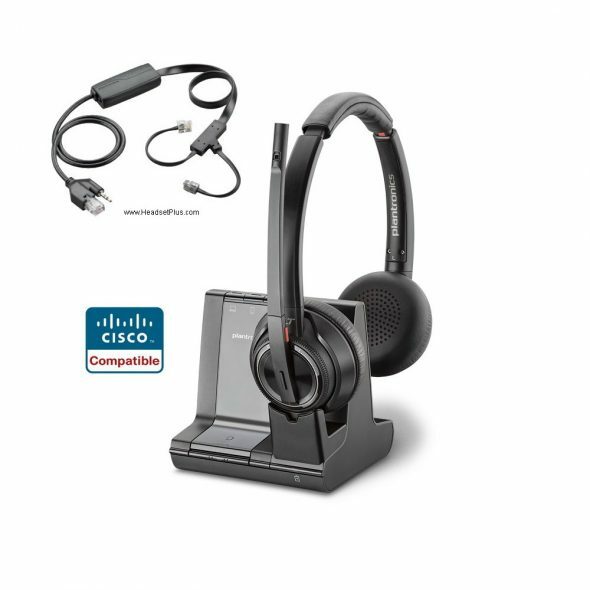 But the Jabra Biz 1500 Cisco is a lower cost alternative to the Jabra Biz 1500 Direct Connect. BUY NOW! The dual-eared version of the Jabra 1500 mono wired headset, that also comes with the correct bottom cable required for Cisco phones. The simple design makes for intuitive call control and is built for efficiency. 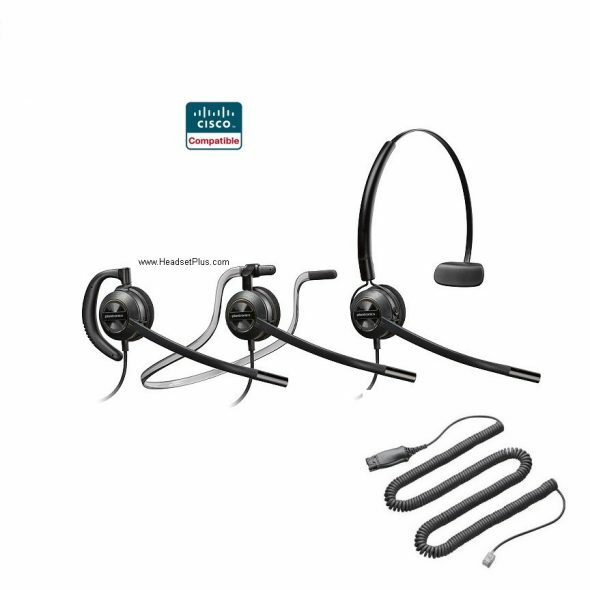 Jabra partnered with Cisco to bring you the most affordable Cisco certified headset available. 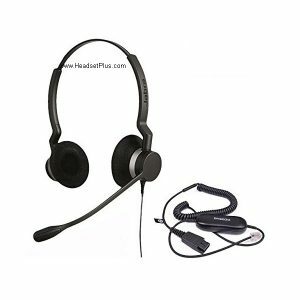 It offers premium sound and noise-cancellation and is an affordable wired headset for VOIP office phones. BUY NOW! 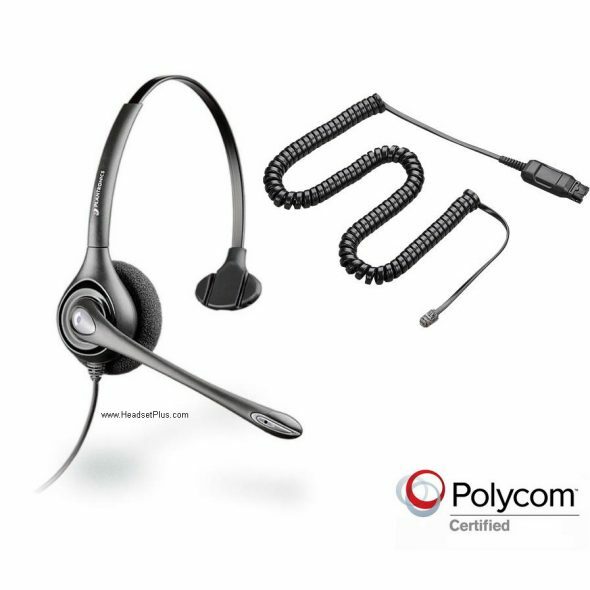 HW251N-POLY pairs a Plantronics corded headset with the correct bottom cable that will work with 95% of all Polycom VOIP office phones. The HW251N is a premium noise-cancelling headset that is the standard for headsets designed for offices and call centers. Light weight and durable, the stylish design of the HW251N greatly enhances the user experience. Fully taking advantage of VOIP technology, the HW251N is equipped with wide band audio that delivers rich, life-like audio. HW251N boasts an Ultra Noise-Cancelling boom mic that greatly filters out background chatter, and reduces echo. The HW251N has a flexible and retractable headband and bendable boom mic that allows each user to customize the headset to their liking. All that and more make the Plantronics HW251N a great affordable option for VOIP office phones. BUY NOW! The Jabra Biz 2300 has all the bells and whistles you’d expect from a top-of-the-line wired headset but at an affordable price. The Jabra Biz 2300 is constructed with superior materials and lightweight enough to not be bothersome after prolonged use. The Jabra Biz 2300 has HD voice and wide band audio to deliver crystal clear communications with each phone call. The Jabra Biz 2300 offers unprecedented noise-cancellation and an air shock microphone that will protect against harsh, unwanted audio. The 2300 comes equipped with Kevlar reinforced cords that prevents tethering and its unbreakable 360 degree boom mic allows each user to fully customize the headset to fit their preference. All those features help make the Jabra Biz 2300 the best and most affordable wired headset for VOIP office phones. BUY NOW! If you have any questions, feel free to give us a call at 877-999-3838. Ask for George! This article is a reviews of the best Headsets for Mitel IP Phone Models 5000, 5001, 5005, 5010, 5020, 5021, 5040, 5055, 5140, 5201, 5205, 5207, 5210, 5212, 5215, 5220, 5224, 5230, 5234, 5235, 5240, 5250, 5304, 5310, 5312, 5320, 5324, 5330, 5340, 5360, 5540, 5550, 8520, 8528, 8560, 8568, 8600. and Mitel Superconsole 1000, Superconsole 2000. 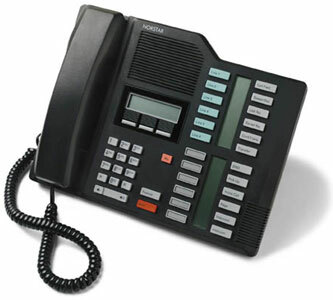 If your Mitel Phone is not listed, call us for compatibility. This is the top selling entry level corded headset. The Biz 1500 comes with a noise canceling microphone, wide band audio, and is only 1.9oz in weight. This is a great headset for those looking to buy multiple headsets or just don’t want to spend too much money. It comes packaged with the bottom cable needed for use with most Mitel phones. Backed by a 2 year manufacturer’s warranty. Click here to buy now! A versatile and lightweight headset, it comes with 3 different wearing styles (included,) over the head, on the ear, and behind the neck. Noise canceling microphone and wideband audio ensures that you and your customers will both be heard. This is the lightest headset in its class. Comes with bottom cable and is backed by a 2 year manufacturer’s warranty. Click here to buy now! 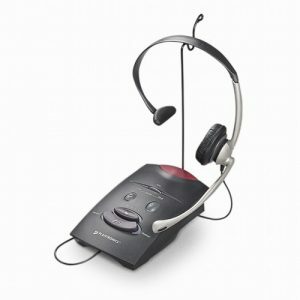 This is the top of the line corded headset that Plantronics offers. It has an excellent noise canceling microphone, high frequency wideband audio, and lush plush leatherette ear cushions. The microphone is extendable and adjustable so you can place it right where your customers will hear you the best. It is very lightweight yet durable, and just looks and feels luxurious. If you’re looking for a high end headset, the PW710 is the one. 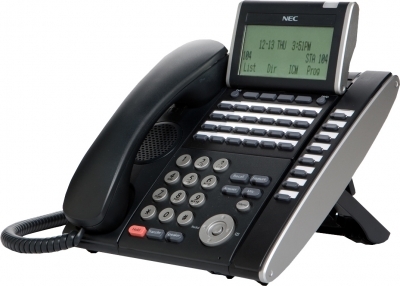 Comes with bottom cable for your Mitel phone and a 2 year manufacturer’s warranty. Click here to buy now! These headsets are an upgraded version of the 1500. They have Kevlar reinforced cords, and a boom microphone you can rotate a full 360 degrees without breaking. It has noise canceling microphones, wideband audio, and larger foam ear cushions to keep you comfortable all day. This headset is one of the top of the line products on the market at a very reasonable price. Considering the price of this headset, it can’t be beat. This Biz 2300 comes with a bottom cable and a 2 year manufacturer’s warranty. Click here to buy now! Here we have a great wireless option. These headsets are perfect for the times that you want to walk away from your desk, but still but able to answer and end your phone calls. The CS540 comes with 2 wearing styles, over the head and on the ear, and is one of the lightest in its class. It has up to a 350ft wireless range, 8 hours of talk time, noise canceling mic, and wideband audio. The HL10 (remote answering) is pre-bundled with this headset and comes with a 1 year manufacturer’s warranty. Click here to buy now! If you have any compatibility or general questions, please don’t hesitate to call. Ask for Jimmy. We’ve all been on been stuck on a long phone call whether it be for work, or just chatting with a friend. Trying to hold your phone and multitask isn’t just inconvenient, but dangerous for your health. Holding your phone between your ear and shoulder puts your neck and body at odd angles leading to strain, even if it’s for short periods of time. This is why many office and home professionals are making the switch to headsets. Fortunately, technology has produced lightweight headsets that produce rich audio and crisp voice communication. Determining the right headset for you is the easy part. 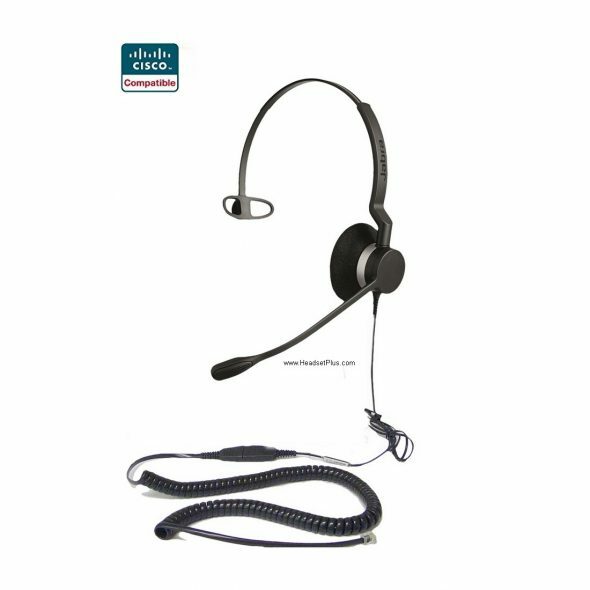 If you spend most of the day at your desk, corded headsets are a great option. If you are constantly moving away from your desk a wireless headset would be better suited for you. Corded headsets are nearly 100% universal with all IP desk phones. What you will need to connect to your phone is either a bottom cable or an amplifier. Generally speaking, if you have an old phone you will need a Jabra Link 860 Amplifier. Newer phones typically have an amplifier built in so, you can plug the bottom cable directly into the headset port on your phone. Wireless headset systems have an amplifier built into the base which makes them roughly 99% compatible with all desk phones. Let’s take a look at some headsets. These headsets are meant to take a beating and keep ticking. They have Kevlar reinforced cords, noise canceling microphones, and wideband audio. This headset is one of the top of the line products on the market at a very reasonable price. You can rotate the boom microphone a full 360 degrees without breaking it, and it has larger foam ear cushions to keep you comfortable all day. Considering the price of this headset, it almost can’t be beat. This Biz 2300 comes with a bottom cable and a 2 year manufacturer’s warranty. 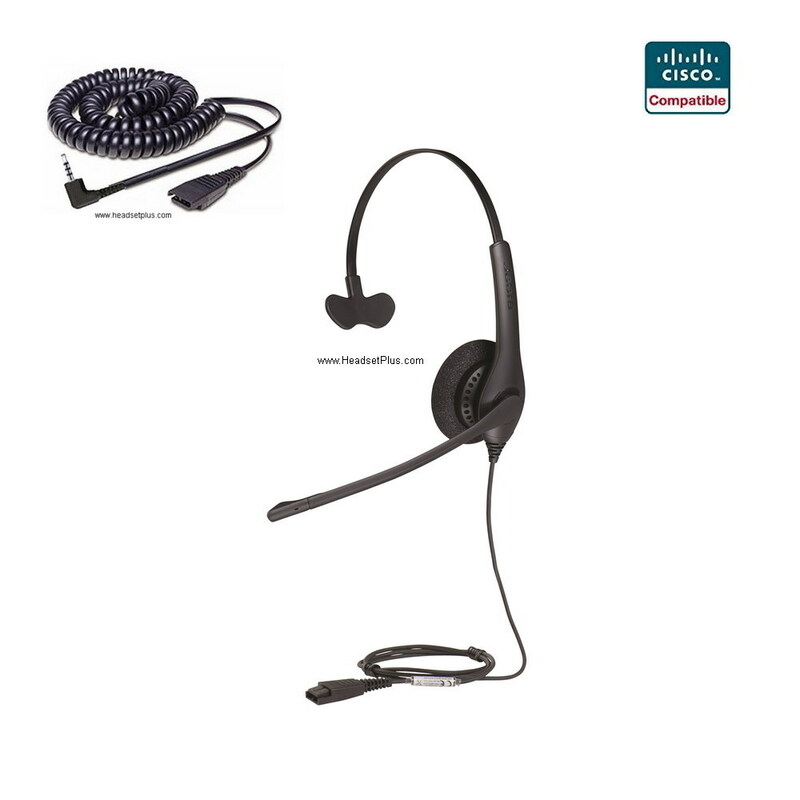 The 2400 II is no doubt the one of the highest quality corded desk headsets available. It comes with 3 different wearing styles if you choose to wear it on the head, on the ear, and behind the neck. Much like the Biz 2300, it has wideband audio, Kevlar reinforced cords, and larger comfortable leatherette ear cushions. You can rotate this microphone a full 360 degrees and it has the best noise canceling microphone available. Includes a Jabra/GN Smart Cord and a 2 year manufacturer’s warranty. The 9450 is a great wireless headset solution. It has a noise canceling microphone, wide band audio, and best of all, you can connect the headset to both your desk phone and computer at the same time. Whether it’s taking phone calls on your phone or computer, you can enjoy up to 11 hours of talk time and a 450ft range (depending on environment). If you need the ability to be able to answer and end calls away from your desk, you will either need a handset lifter, or EHS cable (electronic hook switch.) The Pro 9450 is compatible with both. This headset comes with a headband and earhook wearing style and a 1 year manufacturer’s warranty. 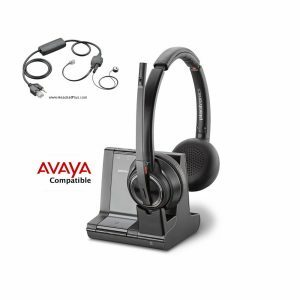 The Pro 9470 is the top of the line wireless headset solution. This unit can connect to your desk phone, computer, and cell phone (via Bluetooth) simultaneously. With a simple touch of the finger, the touch sensitive screen lets you manage calls between devices. Excellent noise canceling microphone, wide band audio, and choice of 3 wearing styles are just a few of the features this system can do. The 9470 uses SafeTone technology which protects your hearing from unexpected loud spikes in volume. You can travel away from your desk and talk on the phone up to 450ft (depending on environment) and enjoy between 8-10 hours of talk time. Remote answering compatible, 1 year manufacturer’s warranty. All of this information at once can be overwhelming, we encourage our customers to call or email our specialists for questions or compatibility. If you’re looking for a great headset solution for you Nortel phone, you’ve come to the right place. There are vast amounts of corded and wireless headsets systems compatible with your Nortel phone, which can make it confusing or overwhelming. Below you will find some useful tips and recommended items which will aid you in making an informative decision. First, let’s determine the need for mobility. If the user is going to remain at the desk for the most part of the day, you may choose to purchase a corded headset. Purchasing a wireless headset system is always a great idea, however, corded solutions can be more economical if mobility isn’t required. A corded headset doesn’t mean that you’re bound to your desk. Majority of corded headset are equipped with a “quick disconnect” which enables the user to easily unplug their headset from the phone and walk away from the desk. Secondly, choose the headset most suited for your environment. Do you work in a loud, crowded, or densely packed office? If so, you would probably want a noise cancelling headset. When referring to noise cancelling, it means noise cancelling through the microphone (customer will not hear excessive background noise.) Headsets can either cover one ear (monaural) or two ears (binaural). For those working in louder environments, the latter would be a better choice. Finally, when choosing a headset, comfort is a key factor. If you’re like most of us, you’re going to be wearing your headset for many hours at a time. Fortunately, we offer a variety of wearing styles. The most common styles you’ll find are: headband (over the head), on the ear, and behind the neck. All of the headsets that we recommend are comfortable, lightweight, and can be worn all day with minimal discomfort. Now that we’ve taken some time determining which style will suit your needs, let’s take a look at some staff recommended headsets. networks. It comes with 2 different wearing styles, over the head and over the ear, (behind the neck sold separately.) It is extremely light weight, weighing in at a mere (0.74oz). The noise cancelling microphone and wide band audio will ensure that you hear your customer as well as they hear you. You can travel away from your desk up to 350ft*.To protect your hearing, the headset also comes with SoundGuard technology (protecting from unexpected loud spikes in volume.) Comes backed with a 1 year manufacturer’s warranty. This entry level monaural corded headset will suit many needs when on a budget. 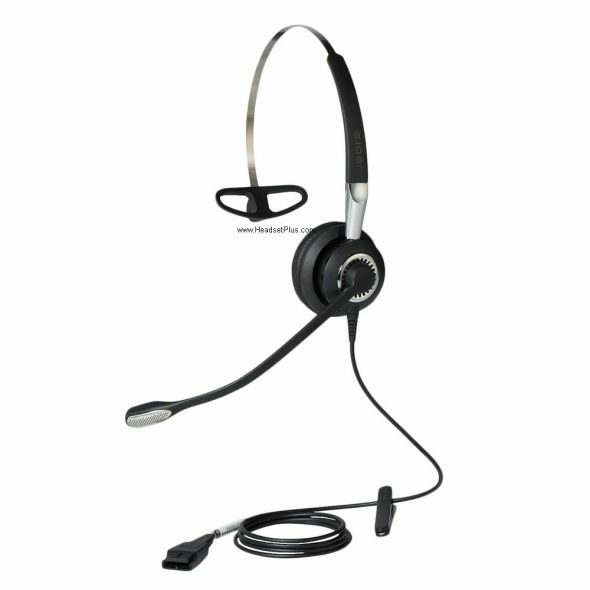 When companies need to purchase a large/bulk order, this is one of the great headsets to purchase. It comes with noise cancelling microphone, wideband Sound, and PeakStop technology (protects users from loud spikes in volume) without breaking the bank. This comes packaged with the necessary bottom cable needed to plug and play, and is backed by a 2 year manufacturer’s warranty. suited for almost all business needs. Whether you’re purchasing for yourself, colleague, or employees, the choice of wearing style is an excellent option to have. It features a noise cancelling microphone, wideband high definition audio, and SoundGuard technology. The headset comes prepackaged with the required bottom cable for Nortel phones. Backed by a 2 year manufacturer’s warranty. Coming in strong with a kevlar reinforced cable, the Jabra 2300 is a high quality corded headset that is built to last. This headset would be ideal if you’re in an environment that is a little noisy. It covers both ears and is loaded with high definition wideband audio, high definition voice, and noise cancelling microphone. In addition to the noise cancelling microphone, this has an air shock microphone with reduces “breathing noise.” This is a pre-bundled headset with the smart cord and comes backed by a 2 year manufacturer’s warranty. This multi-connectivity, versatile, monaural wireless headset is a solution to all of your needs. Imagine having to constantly take your headset off when switching between calls on your desk phone, computer, and smart phone. Fret no more. The Savi 740 utilizes DECT 6.0 (1.9Ghz) technology which eliminates interference with Wi-Fi networks. It connects to your desk phone, computer, and cell phone all through 1 headset! You can switch in-between calls at the press of a button. It comes with 3 wearing styles, over the head, ear, and behind the neck. The noise cancelling microphone and advanced wideband audio will ensure clear concise communication. Comes backed by a 1 year manufacturer’s warranty. These headsets here are just the tip of the iceberg. All of these headsets have proven themselves over time to be comfortable and reliable. The plethora of headset solutions are too many to list here, so please feel free to contact one of our headset specialists with any questions. Best Rated NEC Dterm Series Phone compatible headset reviews. 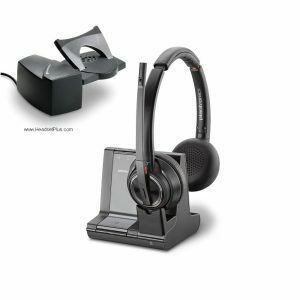 (1) The Jabra Biz 1500 Mono Direct NEC Headset…… At the price of $84.95 you can get this most affordable headset. Having most of the features a top of the line headset has makes this a top seller for customers. This headset comes in a bundle with the Jabra certified NEC adapter cord which allows it to be used with the NEC phones. Among this it also has a complete noise cancellation which makes it a great quality to reduce unwanted background noise. A quality many customers find very eye-catching. 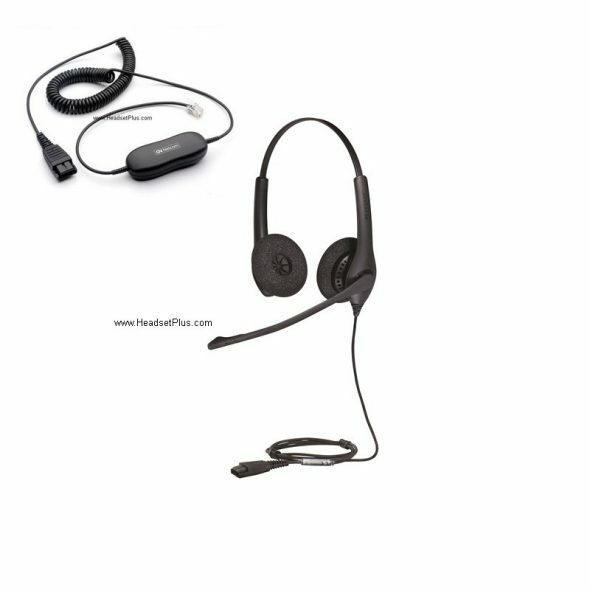 It is very popular head set for companies that need large quantities for all of the agents working. This headset is a good investment having a 2 year warranty allowing you to get a new headset if it fails in 2 years. (2) Plantronics PW251 Polaris SupraPlus Wideband Voice Tube Headset….. Starting at just $114.95 this quality headset is the standard of a good headset for all day comfort. It has wide band audio for speech improvement and clarity. A quality customer’s are fond of as it decreases the listeners fatigue. Included with the headset is the Plantronics NEC cable needed to be connected to headset ready phones. Its designed for demanding environments that you can where all day. This also includes the same 2 years warranty as the previous but with a wide band audio many customers prier this headset for the clarity and improvement in speech as well as the all day wearing comfort makes this a top seller for our customers. (3) Plantronics PW520 Polaris Bin-aural Noise cancelling headset…. At a price of $139.94 the price is not as attractive as the Jabra Biz 1500. This is a double ear wearing headset as many of our customers prefer having that is designed for a busy office employee. This is designed for phones with a built in headset jack like the NEC and come with the appropriate Plantronics NEC cable for the phone. The Plantronics PW520 is very durable and light with a weight of 82g, This makes it a very desirable headset for our customers that don’t want to buy anything to heavy. It carries an adjustable fit for the wearing comfort, and also has metal joints providing great toughness and durability. Provided as well is the 2 year warranty wish makes it a great seller for customers to buy due to all it has and its durability. package it comes with the HL10 lifter which allows you to answer the phone remotely away from your desk a feature a lot of our customers find needed. Not to mention it also has three comfort tested and customizable wearing options for our customers preference style. It has audio controls allowing you to control the volume and even put people on mute simply using your fingertips. Equated with the essential of a headset it comes with noise canceling microphone, and the voice detected DECT technology eliminates Wi-Fi interference many customers find attractive. One key component people are keen on is that the CS540 has a user replacement battery you can replace after 2-3 years instead of buying a whole new headset because they are very durable. With all of these features customers can never go wrong with the purchase of the CS540. 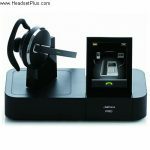 For further assistance or questions call Headsetplus.com at 877-999-3838 and we will gladly assist or answer any questions.